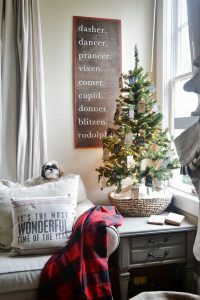 Decorating for the holidays is not a simple task, especially if you have a small space. Some give up and not decorate at all. 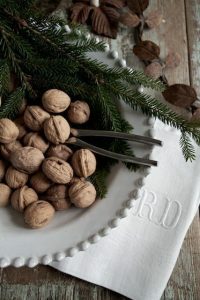 Tiny Accessories: Small things like walnuts, cranberries, white tea light candles and pine cones are the perfect accessory to sprinkle on a tray, bar cart, or table. It’s little, but it definitely creates a festive mood. 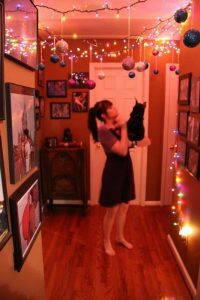 Twinkle Lights: Hanging twinkle lights of all shapes and sizes are the perfect and easiest way to bring on the holiday cheer. 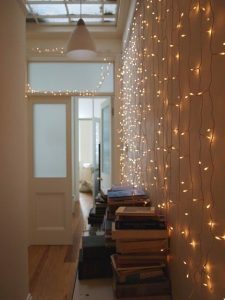 Hang lights from the ceiling and around doorways, or drape them on the wall. Twinkling lights changes the ambiance, making your space feel and look cozy. 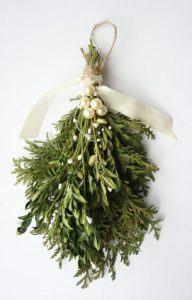 The Classic Mistletoe: A mistletoe does not take any space and all you need is a doorway and a ceiling. It’s also a pleasant surprise for your guests when they find themselves under it! Gold or Silver Ornaments: Sometimes you don’t even need a tree to have ornaments. You can hang gold or silver ornaments from a chandelier. 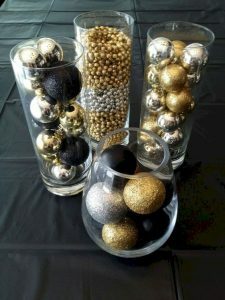 Or arrange glass ornament balls in a nice decorative bowl or jar. If you have a fireplace mantel, you can even hang ornaments from the mantel using hooks. Tabletop Tree: If you must have a tree in your small space, try a tabletop petite tree. They look great on a side table or in the middle of a round table. Come visit us at Rockridge Furniture & Design for more design tips and custom furniture!